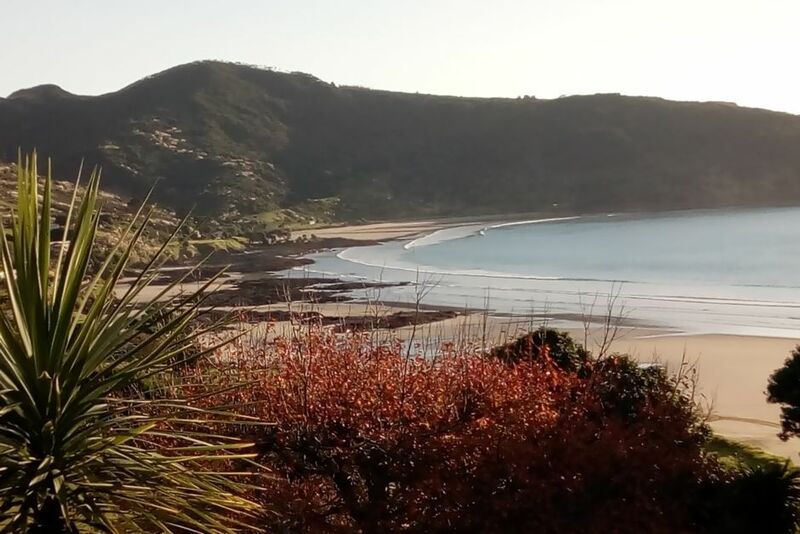 4TRES has uninterrupted views of Ninety Mile Beach disappearing from view to the north, popular Ahipara Bay beach in front with its child-friendly rock pools, the sheltered Te Kohanga (Shipwreck Bay) to your left and the world class surf of Tauroa Point (Shippies) to the west. As you will see from 4TRES, Ahipara has it all and 4TRES has all that you need in a base to enjoy it, offering a fully self-contained private basement flat perfect for the family or friends. Fill your days with walks on the beach, swimming in the sea, charging the long left-hand point break waves of Shippies or simply soaking up the sun. In the evenings, sit back, relax and take in the nightly show of fiery west coast sunsets followed by the sparkle of stars on unblemished all black night skies. The kitchenette comes stocked with all regular condiments and a view from the table that provides you with breakfast inspiration to plan your day. Enjoy dinners barbecuing your own freshly gathered mussels and freshly caught fish. Or just a short 2-3 minutes walk and you can be wined and dined at the Bayview Restaurant and Bar. Ahipara has everything you need for an unforgettable holiday or short break.... And 4TRES at Highfields has everything you need to enjoy it! Smoking allowed outside only. Inclusion of preschoolers open to negotiation. School-aged kids are welcome. We enjoyed our week long stay in Ahipara. Wonderful views. Flat was clean and comfortable ! Can't wait to return. We had a wonderful stay. The hosts are very nice and helpful and the landscaping is quite spectacular. If you are looking for a place to relax and enjoy your surrounding this is ideal. Great hosts. Great location. Great spot. Loved the 2 weeks we stayed there. Would welcome this interesting couple any time and would highly recommend them to any home away proprietor. When they left after a fortnight, the flat was as tidy as could be. We had a great stay at Terence and Hiki’s place. It is well equiped and perfect for children, a short walk away from the beach ! Terence and Hiki were very welcoming. Our little one had health issues and they were amazingly helpful to us, driving us through the nice beaches. We had a great time at 4Tres which made our time in Ahipara very memorable.